Originally published at Think Realty. Although Office Depot is a few years behind their competitor on this trend, they have been making efforts to expanding offerings. As Think Realty reports, in an effort to expand their offerings and tap into an emerging commercial real estate trend, Office Depot may soon become an easy spot for real estate investors to get work done on the go. 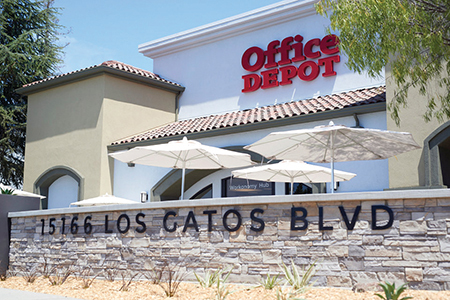 In partnership with Proximity, Office Depot just launched its first coworking space and program—Workonomy Hub—inside the Los Gatos, California, retail store. This expansion comes on the heels of positive growth for the office supply chain, who repositioned itself from an office products retailer to a provider of both products and services in 2018. And this repositioning is resonating well, with 16 percent of the company’s total revenue now coming from new tech services they now provide their customers. Second quarter sales were also up over 11 percent compared to the previous year. This shift in traditional brick-and-mortar commercial properties now offering small business services is being felt industry-wide. In 2016, Staples partnered with the workspace startup Workbar to create remote office spaces in three Manhattan stores. Though Office Depot is a few years behind their competitor on this trend, their prices are significantly more affordable. Staples currently only offers one $130 per month plan versus Office Depot’s more accessible $40 per day price tag. Office Depot’s Workonomy Hub includes tech service kiosks with on-demand access to experts who offer installation and consultation support. “The Hub” also includes high-speed Internet, free refreshments, services like DIY printing, shipping and mail and package handling and easy access to office supplies, of course. The company plans to continue embracing this commercial real estate trend by bringing Workonomy Hub kiosks to 141 stores in Florida, Georgia and Texas as well as more than 1,000 self-service printing and copying kiosks by the end of the year.